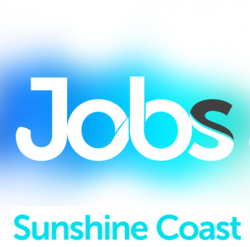 Audi Centre Sunshine Coast has an outstanding opportunity for a professional and dedicated Customer Service Manager to join us immediately. Our Dealership is located in modern, spacious premises, on the Sunshine Coast, and sells and services Audi vehicles. Our Dealership is a professional environment with a stable flow of Customers. Our goal is to provide them with a superior experience, promptly attending to their requirements in an efficient and courteous manner. With an attractive income on offer, a fantastic Coastal lifestyle, and little peak-hour traffic, there is great lifestyle waiting for you. Previous experience in a Customer Service Manager position. Experience within the automotive industry would be highly desired. If you have the required attitude and a desire to work with the best in the Industry, please apply with a Covering Letter and Resume – telling us what you can offer to make this job yours – via this advertisement. Job Categories: Motor Vehicle. Job Types: Full-Time. Occupation: Managers. Job expires in 15 days.